Combat Wounded Coalition is currently accepting applications for our upcoming fall 2018 and spring 2019 sessions of the Overcome Academy. Thanks to generous donations and sponsorships, this class is being offered at NO COST to the participants. We will select 12 students for each class. The fall class will be held Sept. 29 – Oct. 14, 2018 and the spring class will be held Feb. 23 – March 8, 2019. 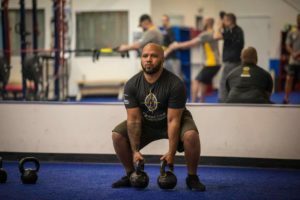 To find out more about the Overcome Academy and how it serves our combat-wounded veterans, click here. If you or someone you know is interested in this class, you can get more details here. When you're ready to apply, begin by completing your Overcome Academy Application. The Overcome Academy would not be possible without those who have contributed to the course. We offer a range of different sponsorships to allow for sponsors to contribute in a way that is near and dear to them. 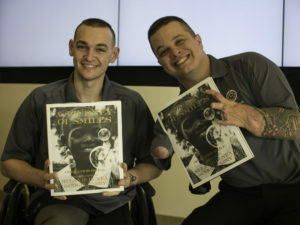 To learn more about sponsorship opportunities with the Overcome Academy, click here. 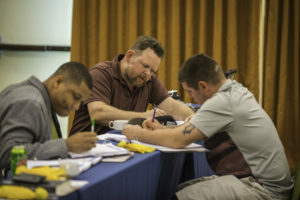 The lessons of leadership taught throughout the Overcome Academy are made possible by a selection of handpicked civilian leaders and mentors who have been successful in their field of work. Mentors are selected and matched with a specific student based on their individual goals and mission statement. To learn more details about our OA mentorship program, click here. As we work to build our mentor database, we are currently seeking mentors in all fields. To register as a mentor for the Overcome Academy, please complete our Mentorship Registration Form.